We at Locksmith Fall City deemed it our company mission to instill in each one of our technicians that you, our customer is our first priority and thus, delivery of first-rate quality service and products are outcomes of this company’s mindset. Each repair and maintenance system, door and lock installation, vehicle lockout troubleshooting and security system has been carefully tested and evaluated with you in mind. It is with undying fervor that we put ourselves in delivering not only the most excellent service in our service trade but also to go beyond your expectations. “Locksmith Fall City’s” history and track record of 24/7 locksmith services will speak for itself and it is something that we are particularly proud of. Truly, it is the legacy that we want to leave behind. Whether it’s as simple as lost car keys, making new ignition keys, home lockouts, lock change, unlocking car doors and trunks, upgrading locking systems, lock repairs, extracting broken keys to repair after a break-in or even mobile services, there is no distinction of how small or large the transaction is. It is in doing so that we can make a difference - by making someone else’s day and giving a part of ourselves as a company through our highly skillful and well-mannered personnel. More so, if you are locked out of your home, office, car or vehicle, you can just call and we will be right there for you in 30 minutes or less. You can also call for an appointment to upgrade your current locks or change your overall security system. We do not give you an appointment window unlike other companies, but rather a definite appointment time. We can come up with the right solution for your needs and budget. 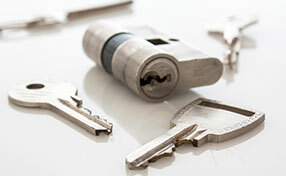 Don’t hesitate to call us for your locksmith needs!